Published on January 18, 2010 in Caribbean, Haiti and International. 1 Comment Tags: Aid, Disaster, Earthquake, Haiti, Stephen Lendman, USA. In her book, “The Shock Doctrine: The Rise of Disaster Capitalism,” Naomi Klein explores the myth of free market democracy, explaining how neoliberalism dominates the world with America its main exponent exploiting security threats, terror attacks, economic meltdowns, competing ideologies, tectonic political or economic shifts, and natural disasters to impose its will everywhere. Published on January 18, 2010 in Caribbean, Haiti, International and USA. 1 Comment Tags: Aid, Destruction, Earthquake, Haiti. – Alexander Hamilton in letter to John Hay, 1799. The recent earthquakes that have demolished the city of Port au Prince and its surroundings has left Haiti stateless, ever poorer, desperate and in need of long term global assistance. A world-wide rescue operation has been initiated. But, it is questionable to what extent the best interests of the people of Haiti have been and will be considered, in the long run. Published on January 18, 2010 in COP, General T&T, PNM, Politics and UNC. 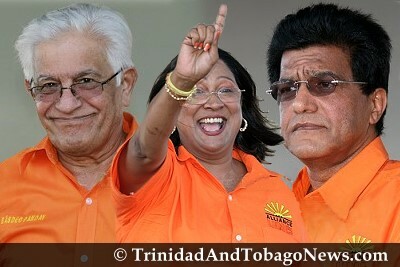 Closed Tags: Basdeo Panday, COP, Jack Warner, Kamla Persad-Bissessar, Politics, Stephen Kangal, UNC. which one of the three candidates vying for the UNC leadership presents the brightest and most convincing prospects for forging sustainable and credible unity/accommodation with the COP at the next general elections?